we saw how to remove the Y-axis leadscrew from the base and retaining block. let's work on the X-axis. start cranking the wheel until you get this far. 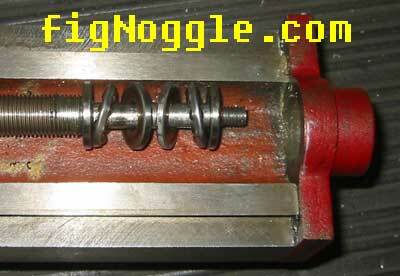 the leadscrew should already be disengaged from the nut. remove the handle and key. 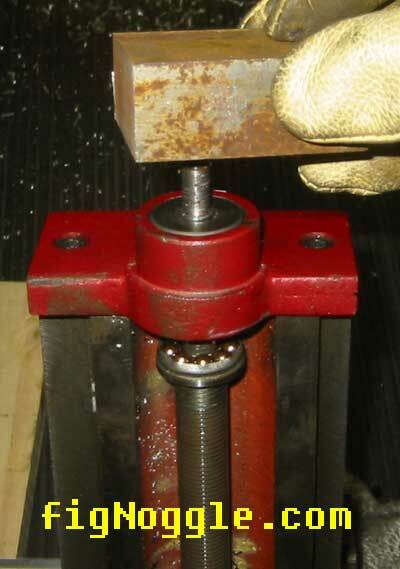 tap at the end of the leadscrew with a malleable block of metal and/or hammer. the leadscrew should pop out. here is the leadscrew with its thrust bearings. note that the two retainers at the extreme left and right side are slip-fitted.